It is winter in New England. A humidifier can really improve indoor comfort level at home. 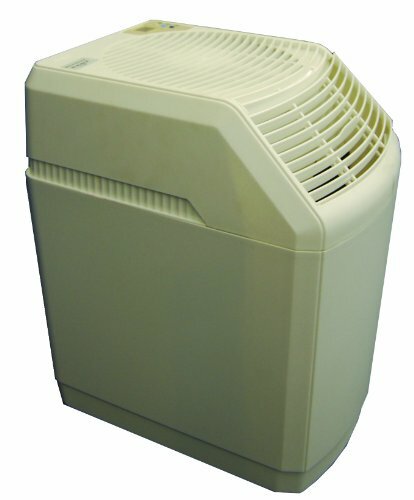 Which humidifier to buy? We switched from a small Vornado Vortex 4 gallon evaporative humidifier to the Essick Air 821 Console 9 gallon evaporative humidifier because it has more capacity, and easier to fill. You can view my full video review of the Essick Air 821 unit below. A quick summary? It is terribly designed, but it does work. So I reluctantly recommend it. Filter placement - it is really unclear in the instructions, but the filter needs to have the tallest part facing the front of the unit. The front being where you add water to the unit. Water Level - fill the unit up to about half way, marked by both a small sticker on the inside that says "Fill Here" (but it really should say "fill to here"), or marked by the wavy protrusion on the filter. Water Level Detection - The float rod never engage the small microswitch to tell the unit that there is water in the unit. Apply my "index card" fix to make this work. Full details in the video above.